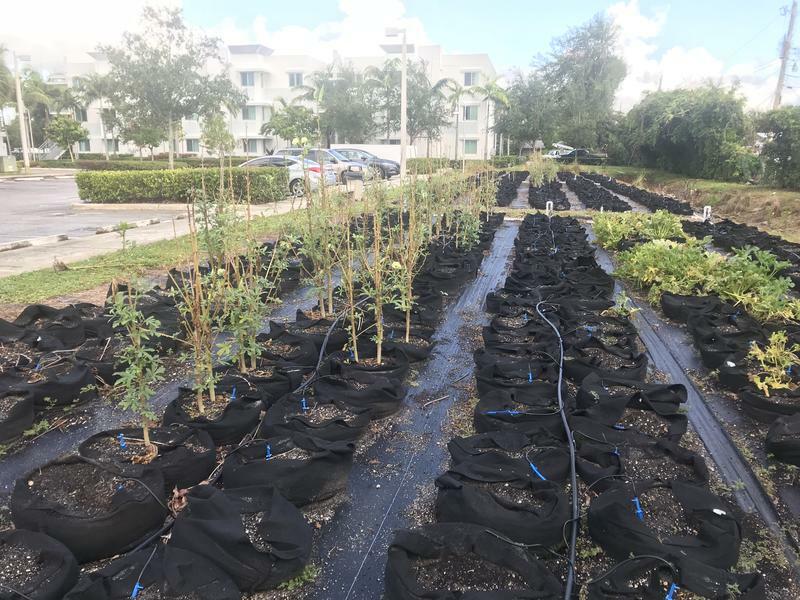 Restoration, funded totally by corporate donations, began in January of 2018. 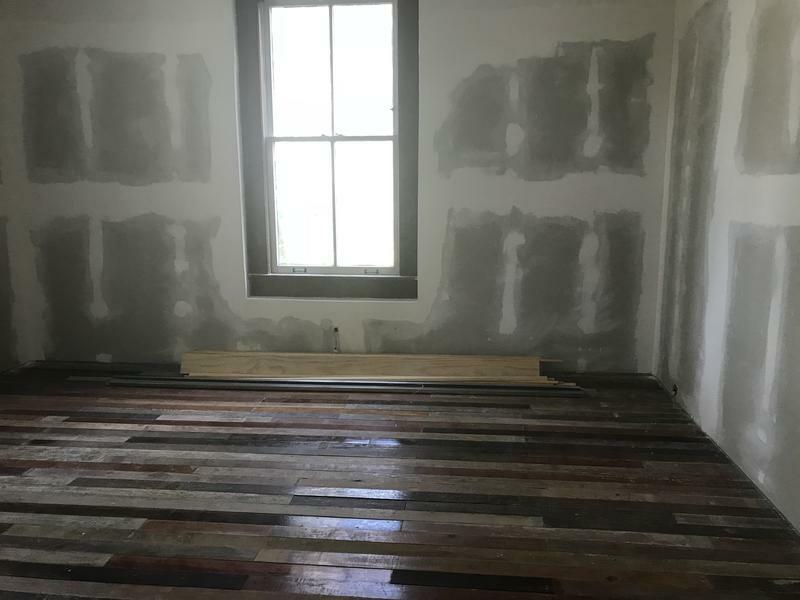 Once the project finishes, StepUp apprentices will redo flooring in the King Cromartie House Museum next door. When the Inn's building housed the Museum of Discovery and Science in 1977, this room was used as the aquarium room, filled with pools of turtles. It was also damaged during 2017's Hurricane Irma. StepUp apprentices filled in all original flooring. Part of the team from StepUp that's restoring the New River Inn, finsihes the final touches on the hardwood floors in the lobby. Once it gets sanded and polished, restoration will be complete. Fort Lauderdale’s New River Inn has worn many hats since it was built in 1905. It started as a railroad hotel in 1905, then it became city offices. In 1977 it became the original site of the Museum of Discovery and Science before it became what it is today, a museum for the Fort Lauderdale Historical Society. 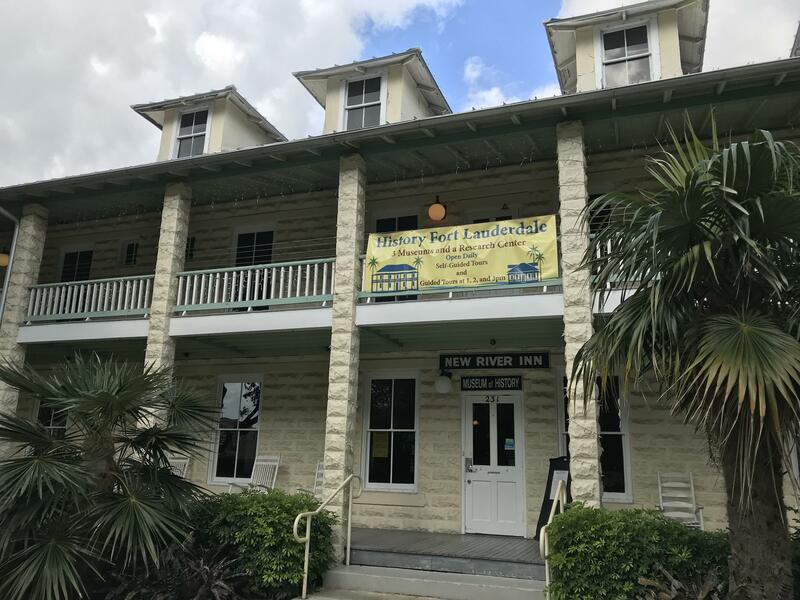 The New River Inn, 231 SW Second Ave., has been in the process of getting a facelift since January, and it’s nearly complete according to the Historical Society’s executive director, Patricia Zeiler. “This is what we call today our media room,” Zeiler said, about one of the restored rooms on the first floor of the building, during a visit on Tuesday. “In 1905 this was the gentlemen's parlor,” she said. Zeiler turned to the Housing Authority and its StepUp apprenticeship program when she started to have the 113-year-old building restored.The apprentices typically learn new construction methods, but not for this Inn: They put early 1900's style building techniques to the test. Part of the team from StepUp that's restoring the New River Inn, finishes the final touches on the hardwood floors in the lobby. Once it gets sanded and polished, restoration will be complete. “You just gotta measure the floor... get it right. You gotta make sure the edges cut straight,” Trevon Thomas said. He’s one of the apprentices who redid the all Miami-Dade County Pine flooring, which was original to the building. Anthony Moten helped find the matching wood for the project, as well as teach the apprentices the contemporary construction skills they needed to do the job. He directs the StepUp program. In addition to redoing much of the flooring on the first floor, the apprentices also learned early 1900's construction methods for building doors. They also helped restore bathrooms and redid the drywall for a back room that suffered water damage from Hurricane Irma. 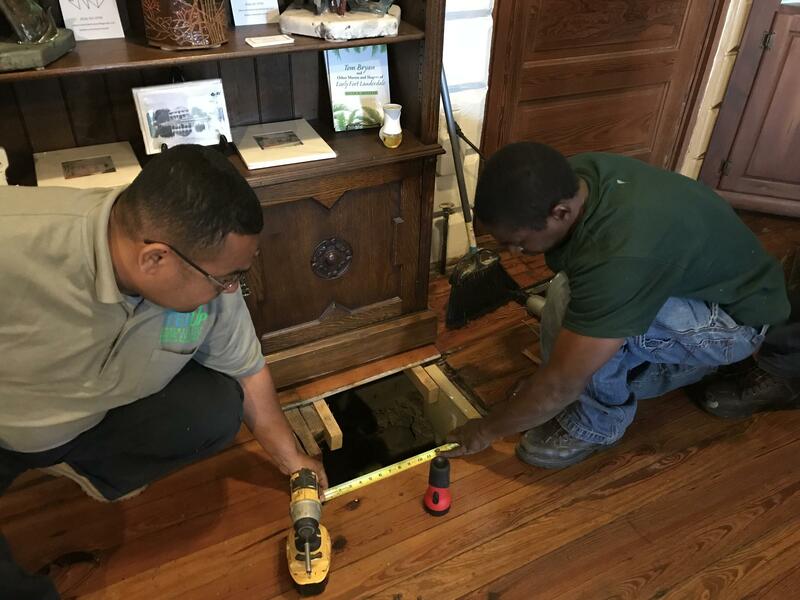 After finishing with the New River Inn, StepUp apprentices will start restoring floors in the King Cromartie House Museum next door. 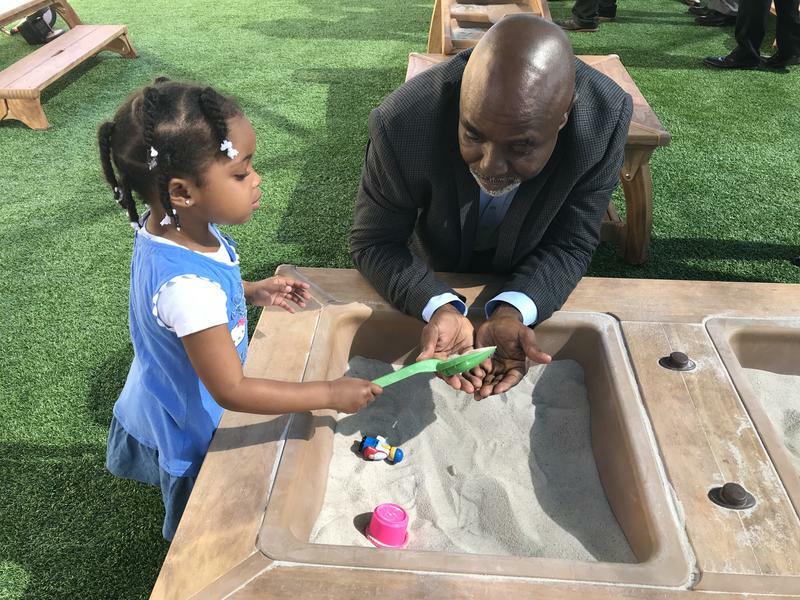 Two-year-old Ari Williams is testing out the new motor-sensory friendly playground at the Jack & Jill Children’s Center on West Broward Boulevard. “It’s sand!” she yells, and scoops tiny cups of sand into smaller containers. She then jumps to the water tables where she throws her hands in and can splash around. 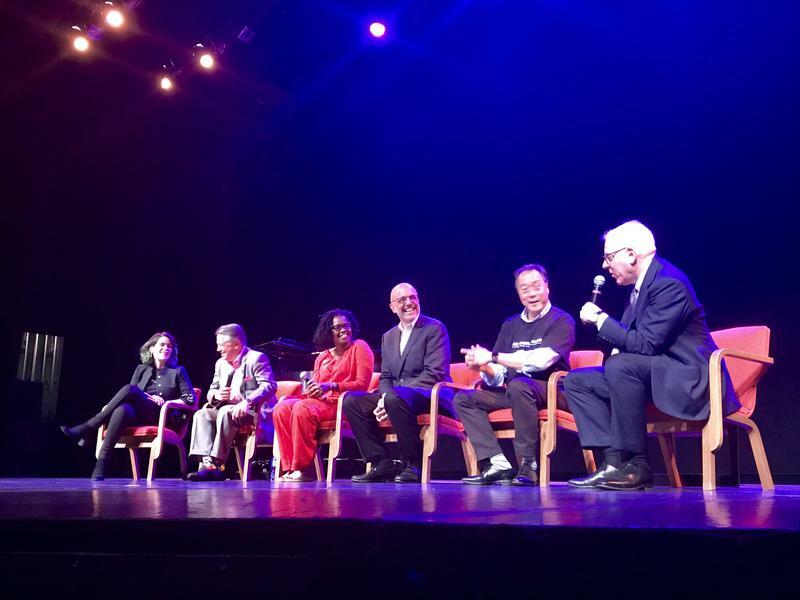 A program from the John F. Kennedy Center for the Performing Arts called Arts Across America came to Fort Lauderdale Sunday to sponsor master cellist Yo-Yo Ma in a community discussion about the power of art.